Suffolk County Music Service | Music Mark Committed to encouraging participation, enjoyment and achievement in music, Suffolk County Music Service provides high quality music education and performance opportunities that: awaken and nurture talent and creativity, build self-esteem, instil discipline, and bring the joy of music to children and young people of all ages, abilities and backgrounds. 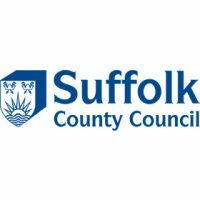 The Music Service is a free-standing traded service within the Health, Wellbeing and Children’s Services Directorate of Suffolk County Council. Committed to encouraging participation, enjoyment and achievement in music, Suffolk County Music Service provides high quality music education and performance opportunities that: awaken and nurture talent and creativity, build self-esteem, instil discipline, and bring the joy of music to children and young people of all ages, abilities and backgrounds.